Welcome to Virginia’s Beach Lakefront Cabins & Camping! 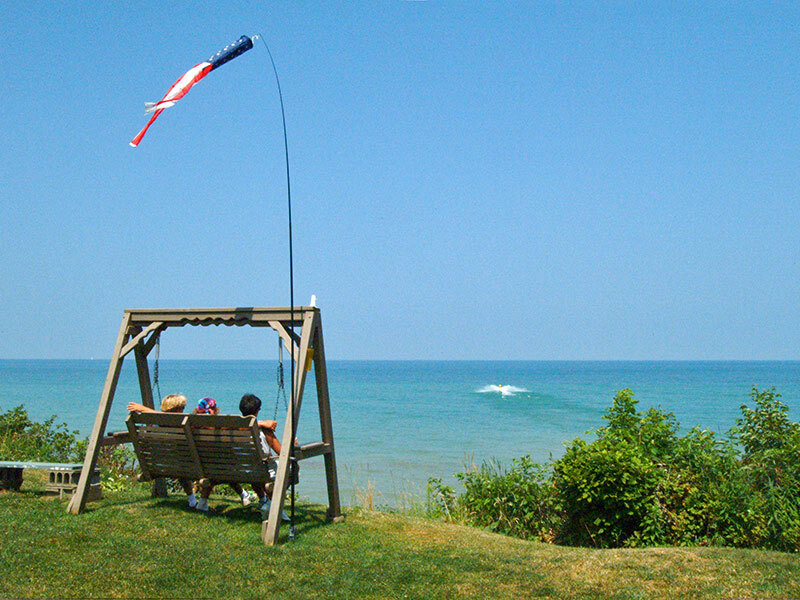 Discover the beauty and unique atmosphere of Lake Erie in a lakefront cottage or campsite at Virginia’s Beach Lakefront Cabins & Camping, located on the shores of Lake Erie in North Springfield, Pennsylvania. Large pull through, 50-amp, full hookup, lakefront RV sites. 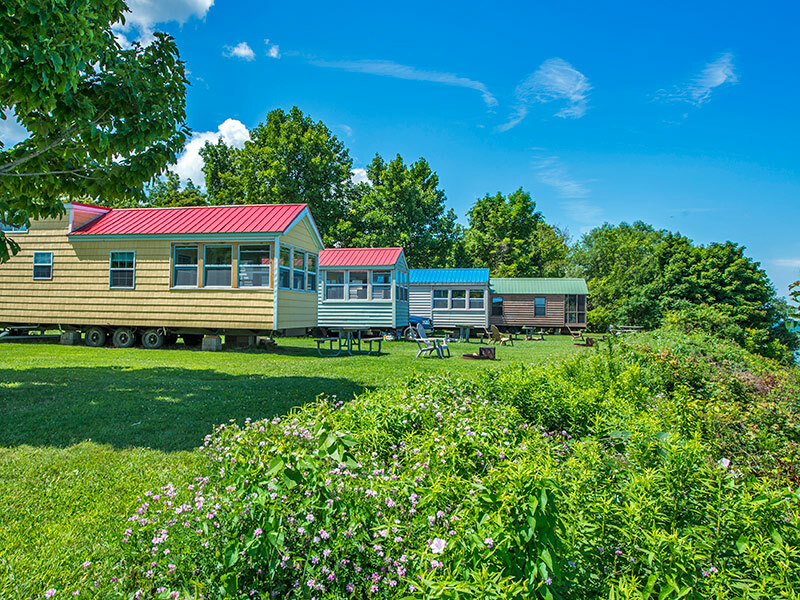 Lake front cottages, cabins in the woods, and a 2 bedroom cottage for larger families. Wooded water and electric sites. Private boat launch for boats up to 18 feet. Some of the best Walleye, Perch, Bass, and Trout fishing in the area. Catch and release fishing pond, playground, and open common areas. 1,100 feet of easy access lake frontage, and 46 acres with woods and walking/biking trails. Virginia’s Beach is pleased to announce that we are now an official WaveWalk Kayak dealer! Rent a Wavewalk fishing boat and take advantage of our excellent offshore fishing. Lake Erie is the shallowest and warmest of the Great Lakes and is great for swimming, jet skiing, fishing, and boating. The sunset on the lake is rated among the best in the world by National Geographic! Click here to learn more about recreational opportunities on the waters of Lake Erie at Virginia’s Beach. Click the lovely map of Lake Erie above to find directions to Virginia’s Beach, as well as area attractions.